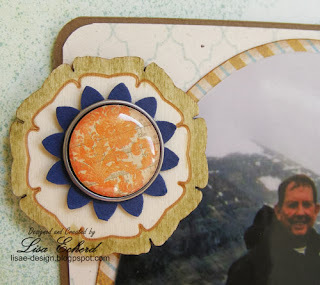 Lisa E Design Blog: Remember the oval? Did you ever cut your photos into shapes, particularly circles and ovals? If you ever used Creative Memories, you probably did just as I did in 2001 or so. That was the year the photo on the left side of the layout was taken. We were on our honeymoon in the Canadian Rockies and asked a passerby to take our photo. Now the passerby had obviously just climbed up the steep hill (we would call this a mountain but I suppose in the Rockies it would be a 'hill') and wasn't in much mood to take a photo. Thankfully he did and took a good one. We wanted a momento of climbing that 'horrible hill' as my new husband and it was sleeting to boot. This was in July! The view was fantastic. There is a glacier in the background just over my left shoulder. The photo in the center was taken just a few weeks ago at the southernmost point of Canada at Point Pelee National Park in Ontario. It was very breezy and you didn't want to get too close to the water as the current was very swift. I just plain didn't want to get wet. This time our photographer volunteered and we in turn took a photo of her with her cute little boy on her back. Canada always seems to lure us in to some odd but beautiful places. For the layout, my challenge was the oval photo. I scanned the original and then matted it with some papers to go with the 3x4 card from Basic Grey's Persimmon collection. 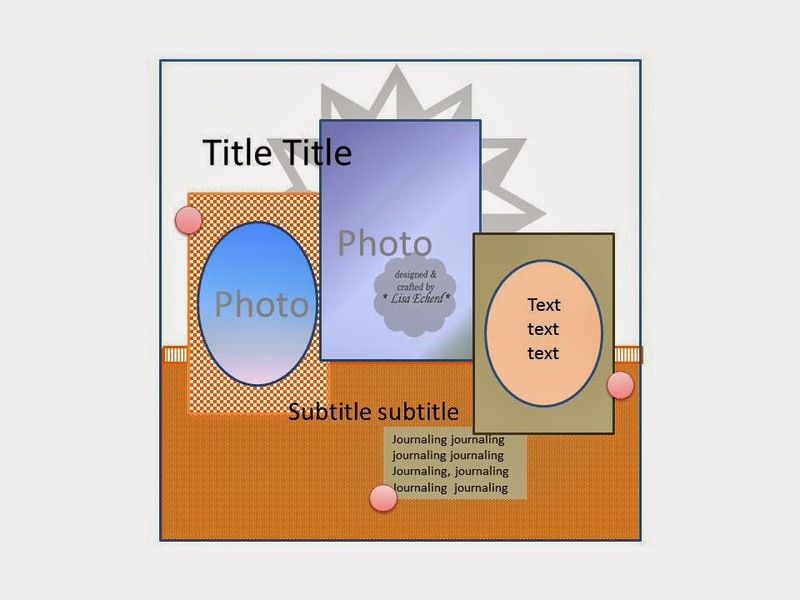 Below is the video that goes through all the steps for this layout. I almost never buy the embellishments with a collection. I never know what I'm really going to need. 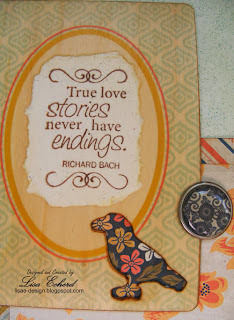 For this one, I used some Studio Calico wood veneer, a punched flower and a My Mind's Eye brad that was just perfect. Here is the sketch for this layout. It was nice to revisit an old memory along with a new one. Thanks for stopping by today! 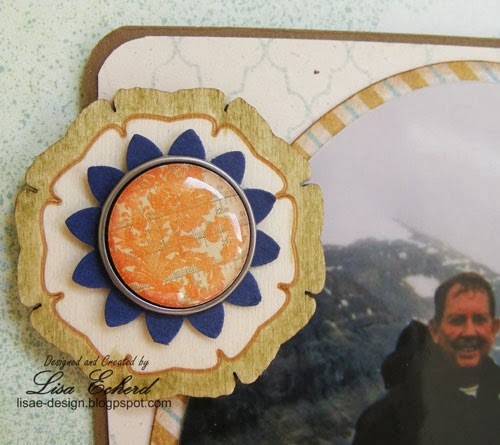 The oval photo is perfect paired with the rounded corners on all of the elements. Love the background! Nice job incorporating the oval! 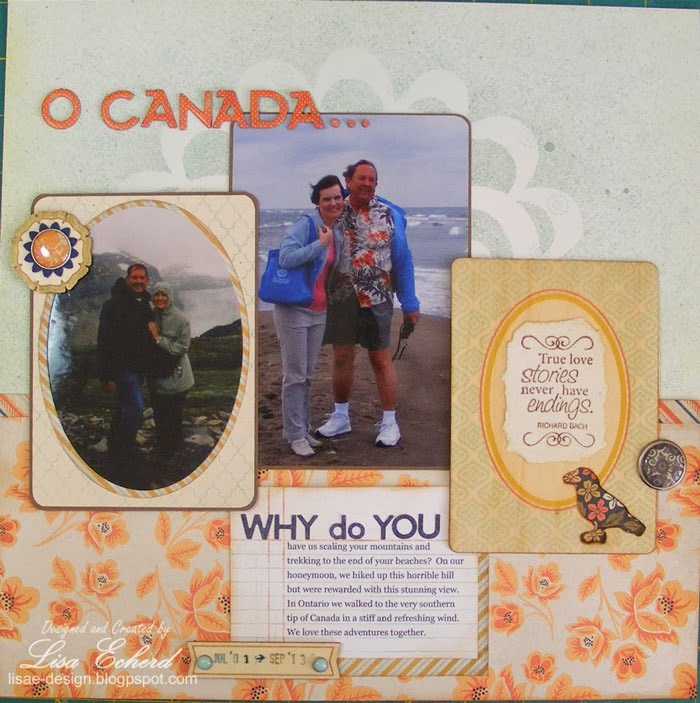 I have not used my CM oval templates in years. I've always loved ovals, and I am loving this layout. 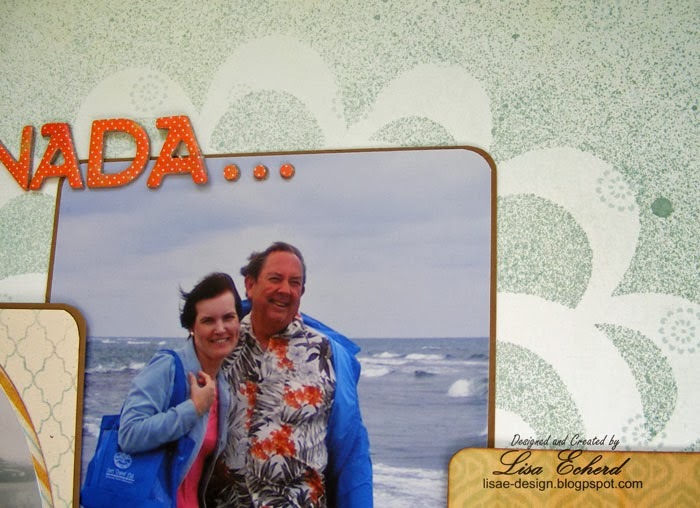 What a great page and neat story, Lisa. I think we all cut our photos in funky shapes back then teehee. You made it work perfectly with your layout. Canada does have beautiful sights and beautiful weather.....really it does, teehee.